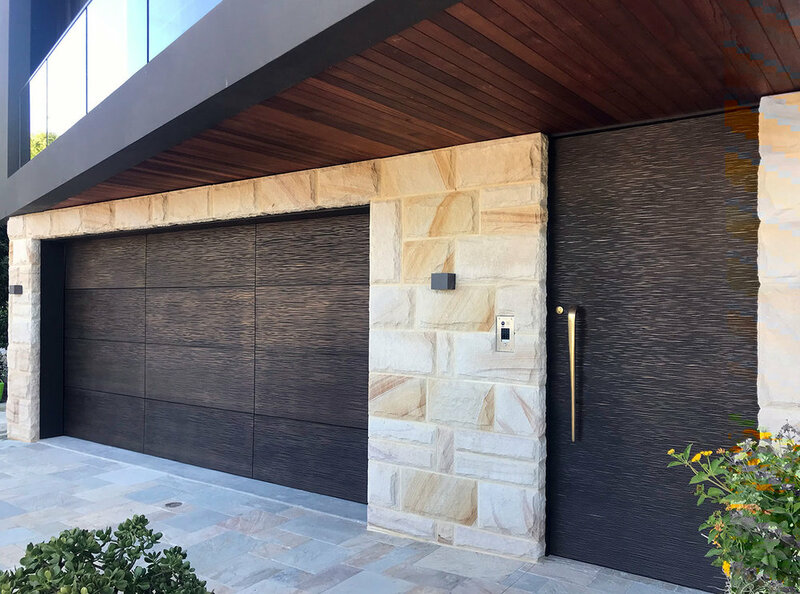 Garage doors are one of the first features of a residence people see yet often seem as if they’ve been left to last on the design front. 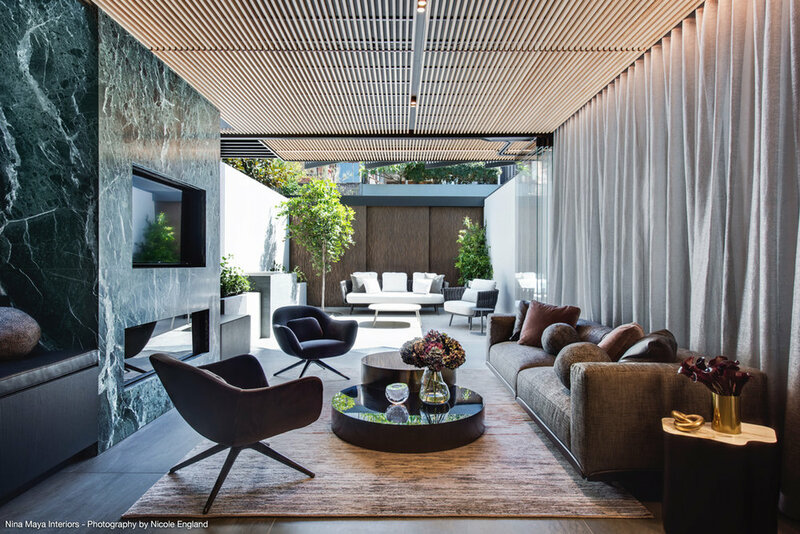 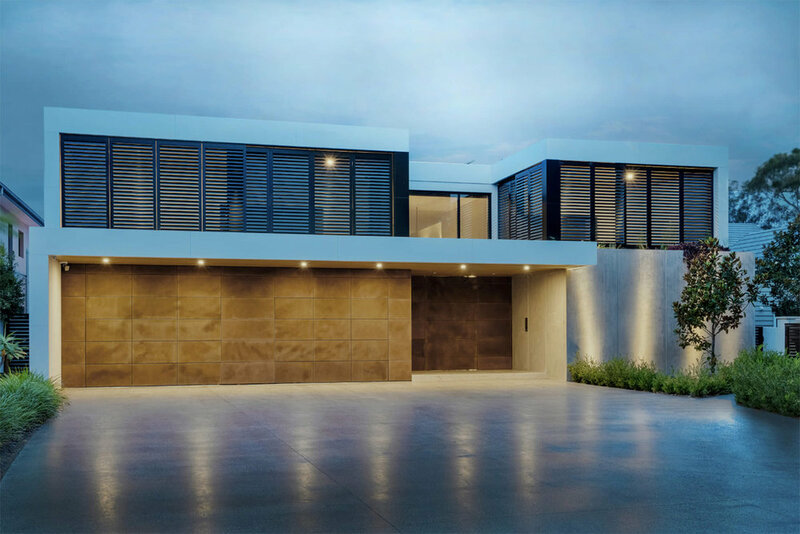 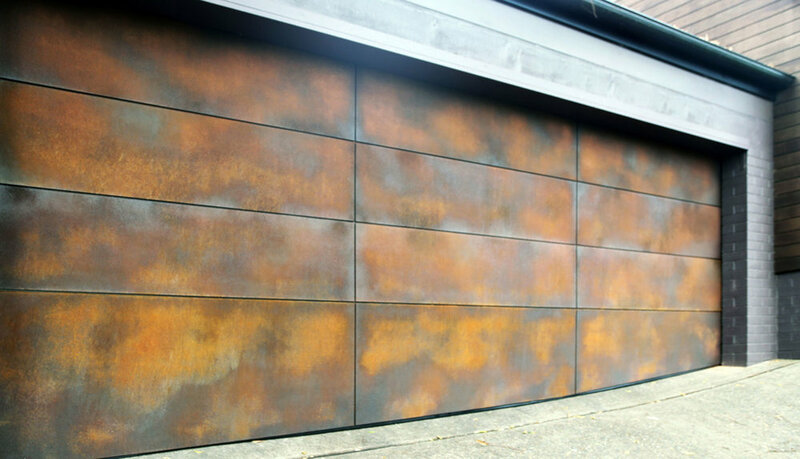 A big part of this is that the aesthetic options have been limited to conventional garage doors that look like, well, garage doors. 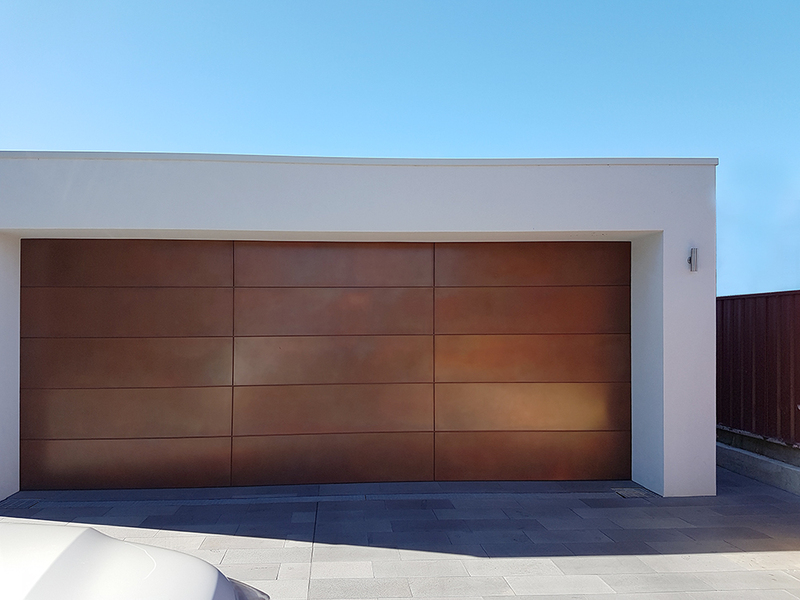 Once again, Axolotl has manipulated form with function to create a range of garage doors that are only limited by your imagination. 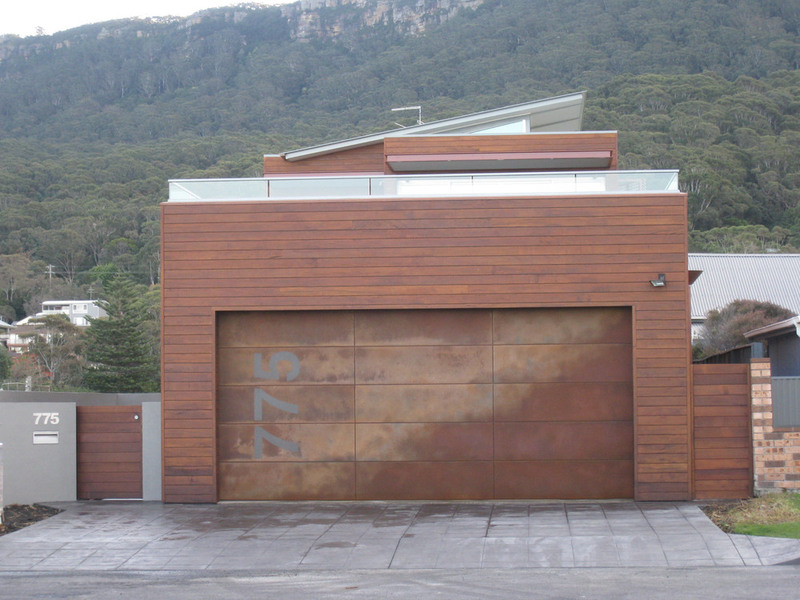 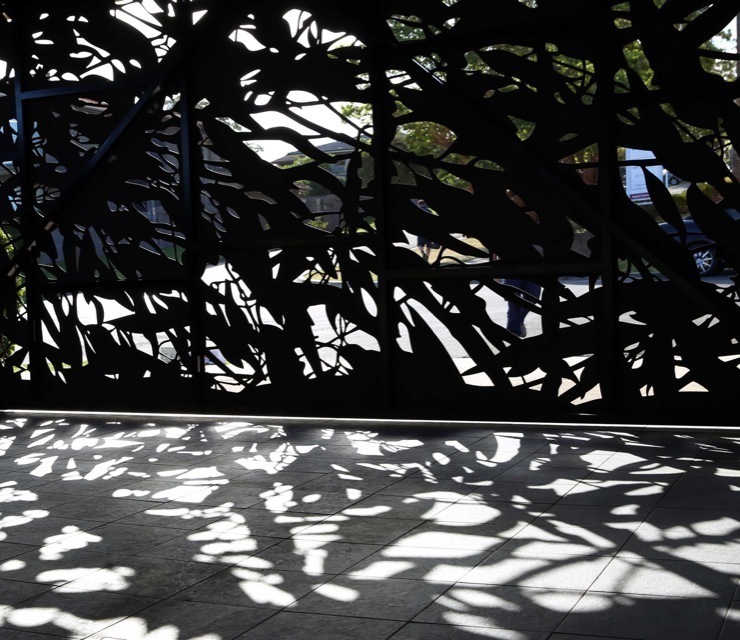 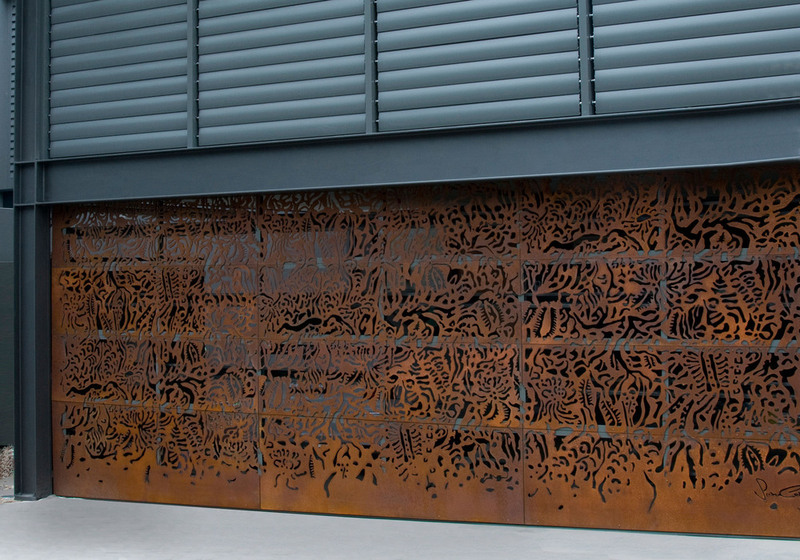 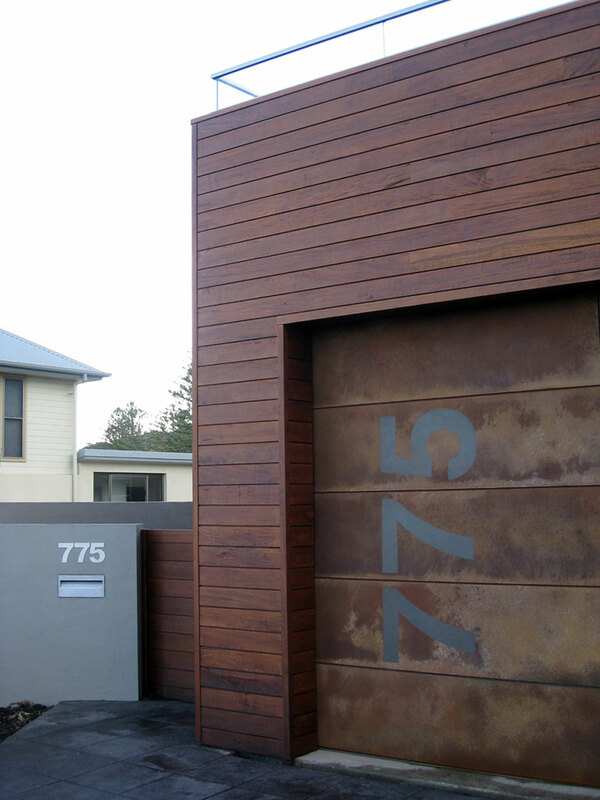 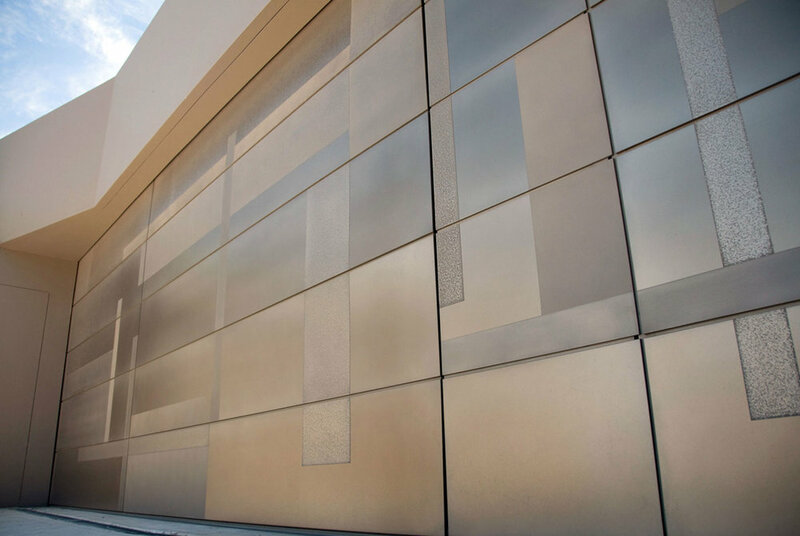 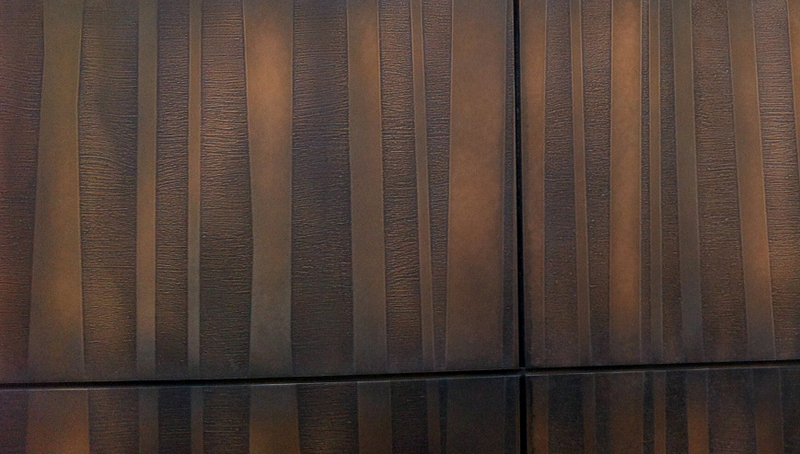 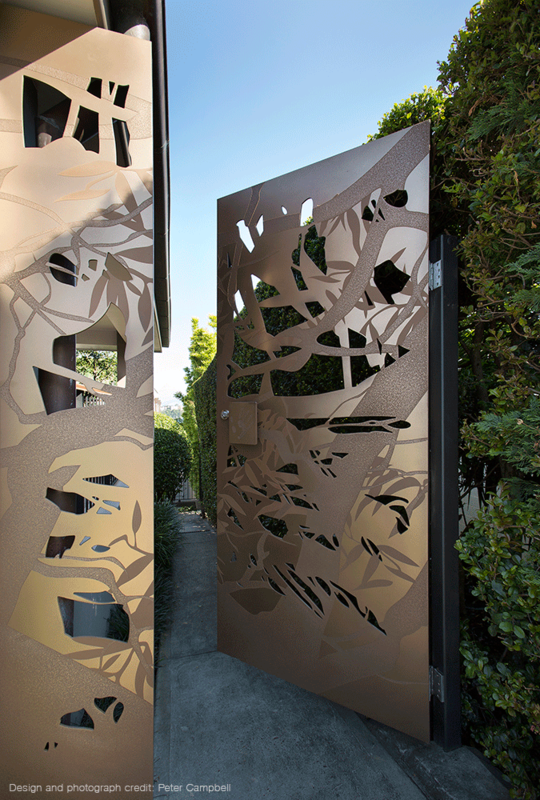 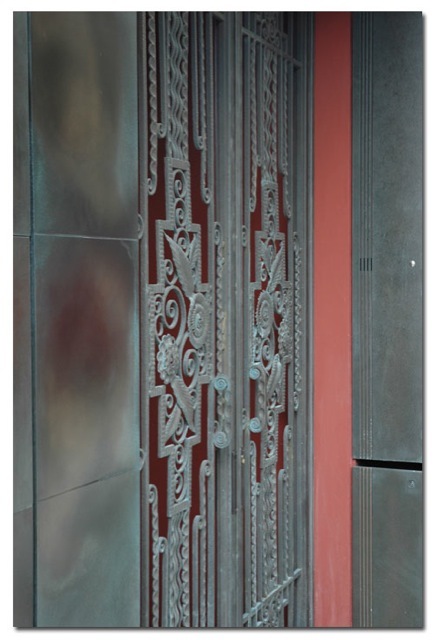 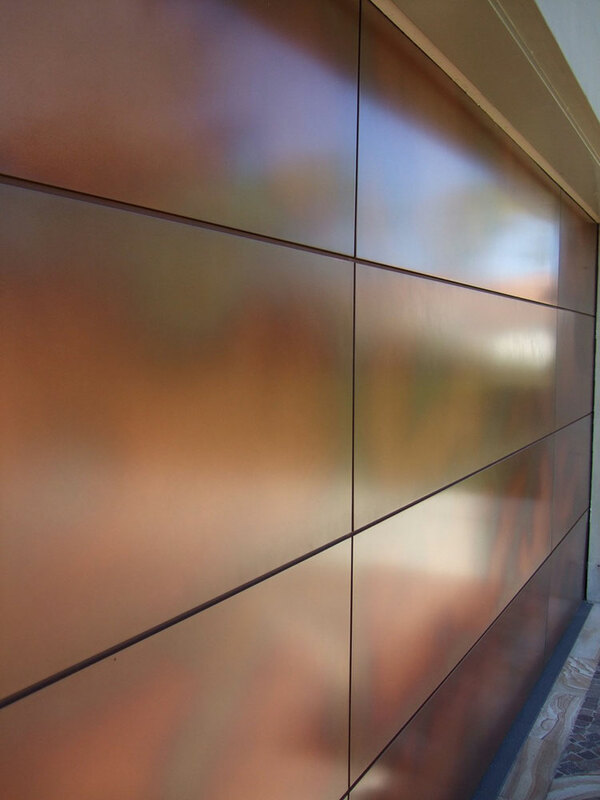 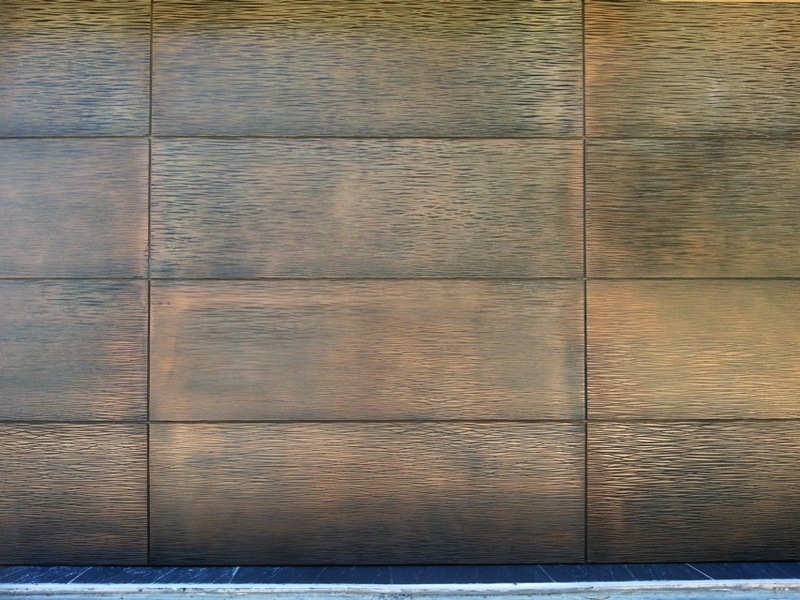 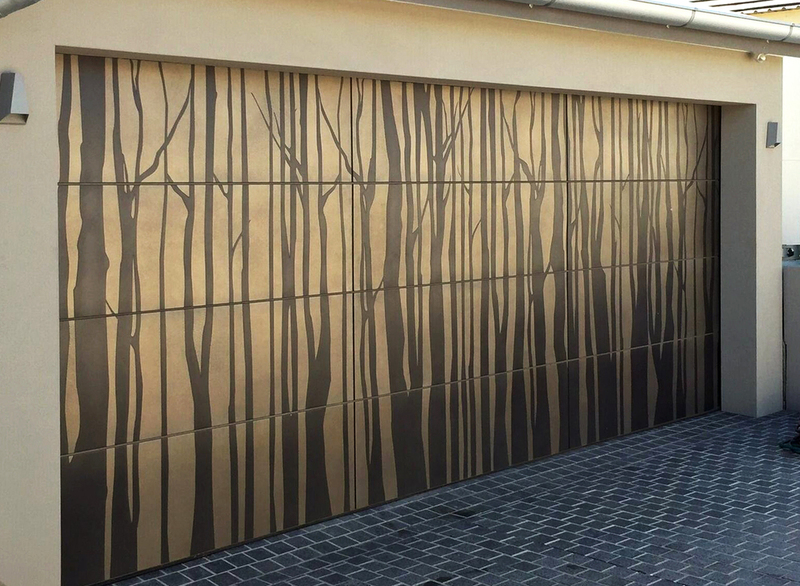 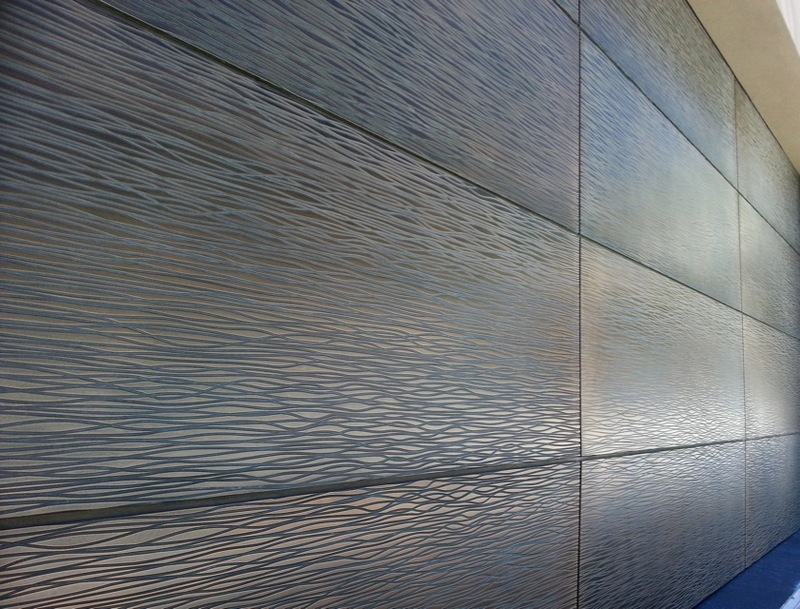 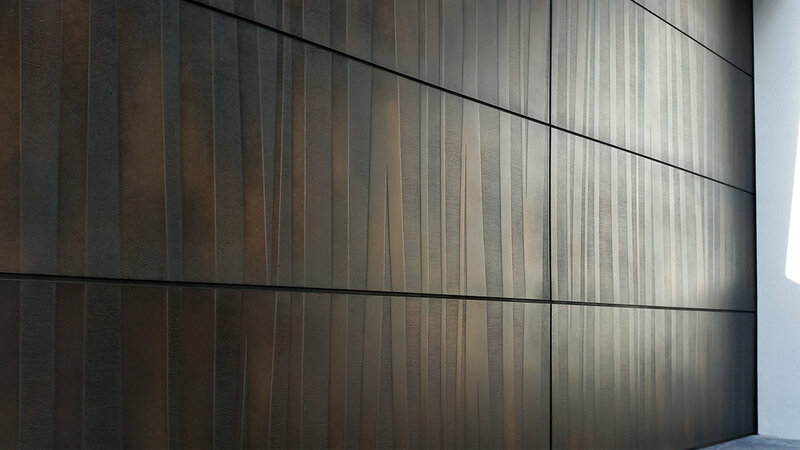 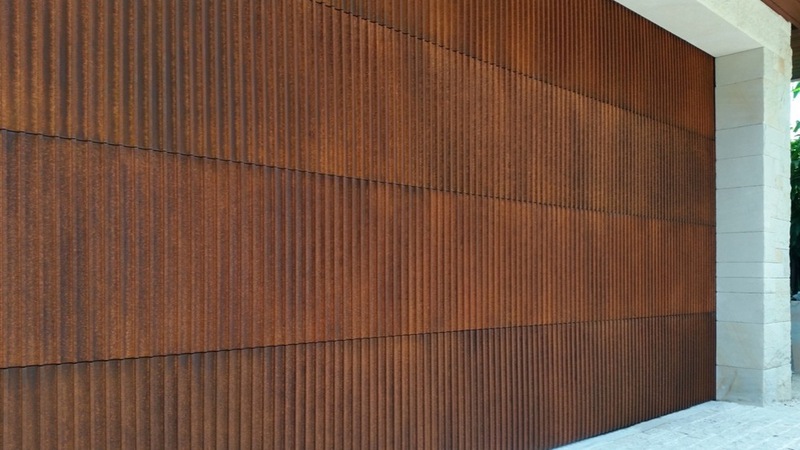 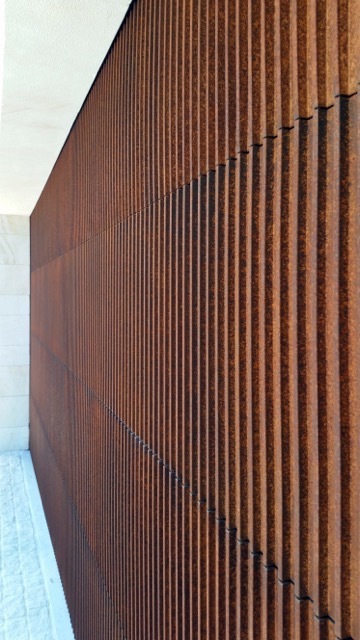 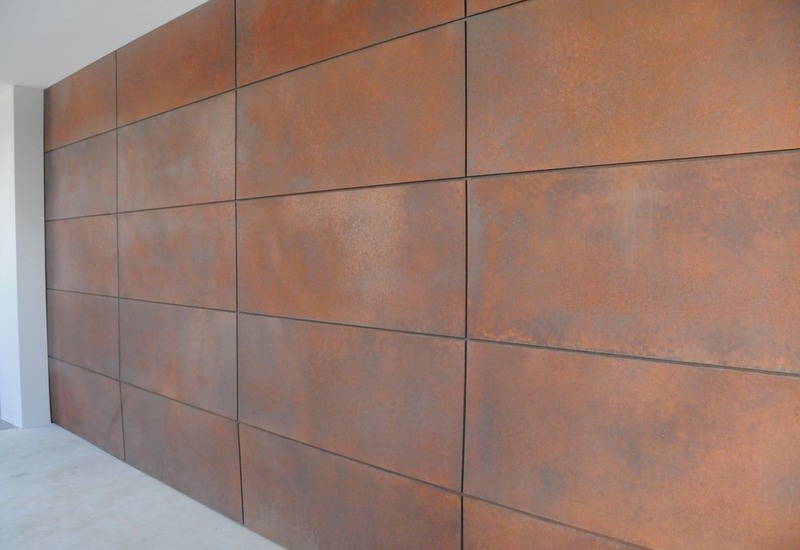 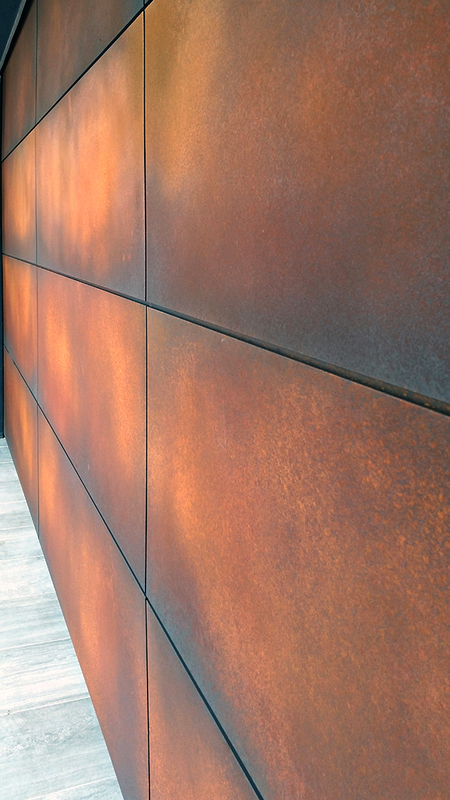 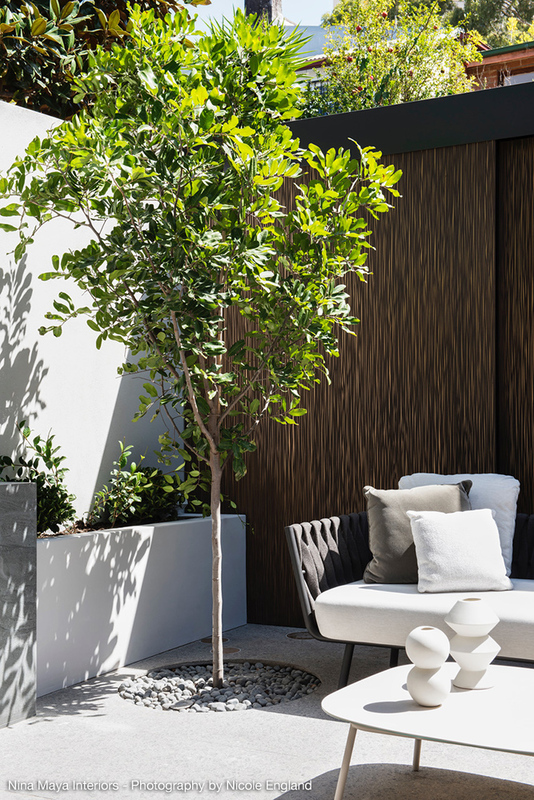 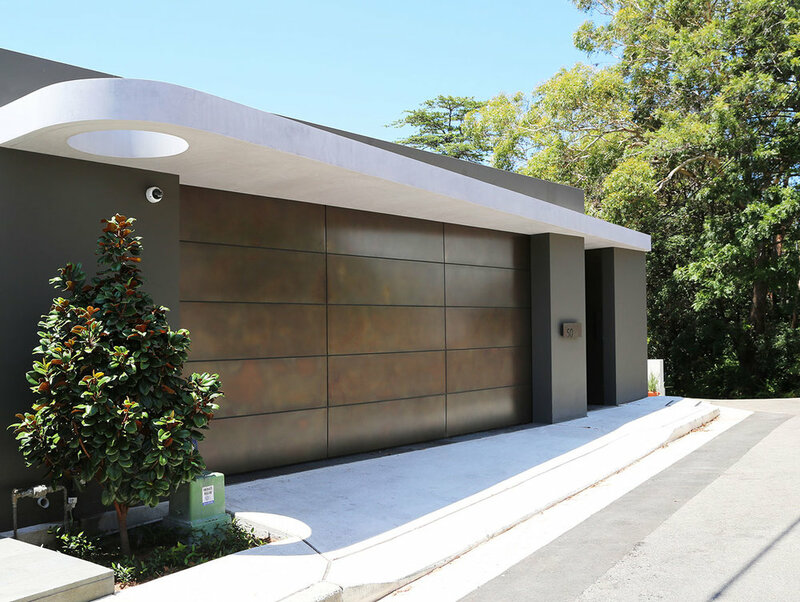 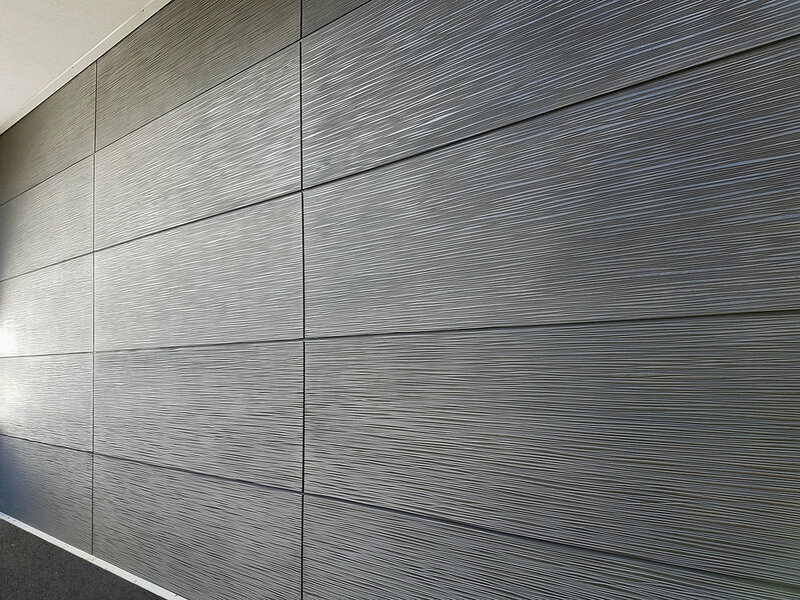 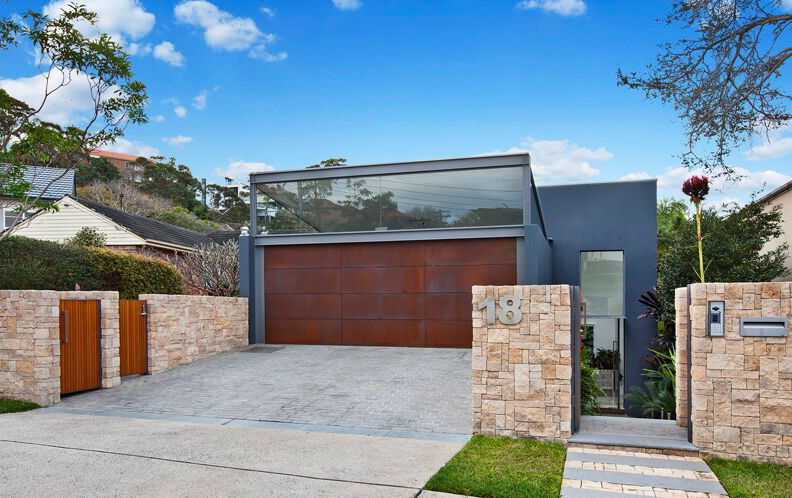 The substrate of garage doors make them ideal for any of our metals, concrete and terracotta surfaces and it’s relatively ease to incorporate your lasercut or routed pattern or design to achieve an even more unique and innovative effect. 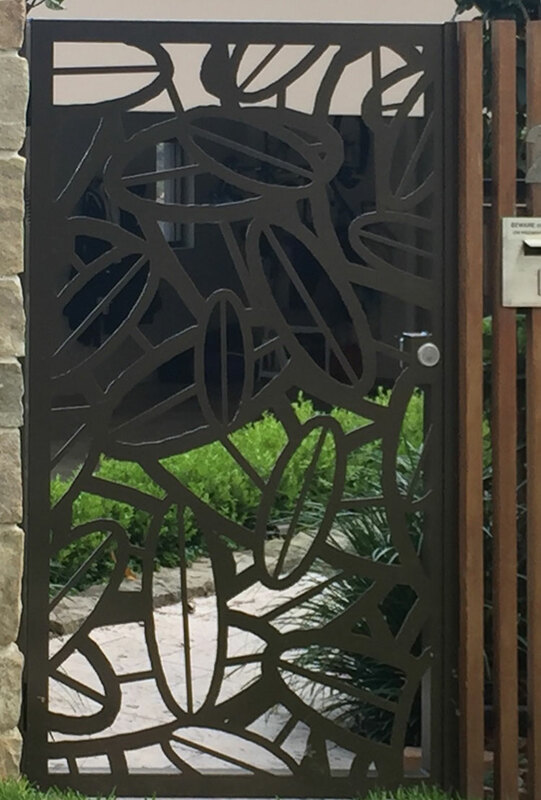 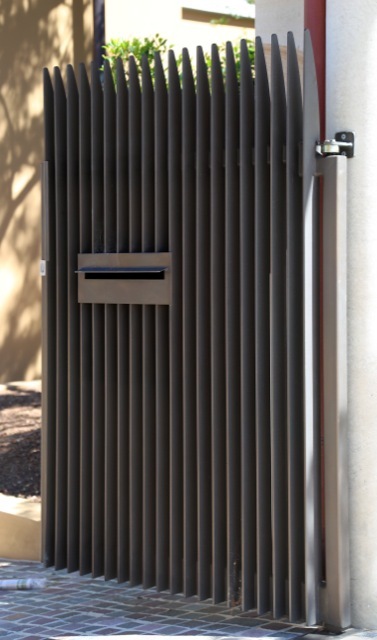 Attain privacy, security and peace of mind without compromising on style with an Axolotl custom designed gate. 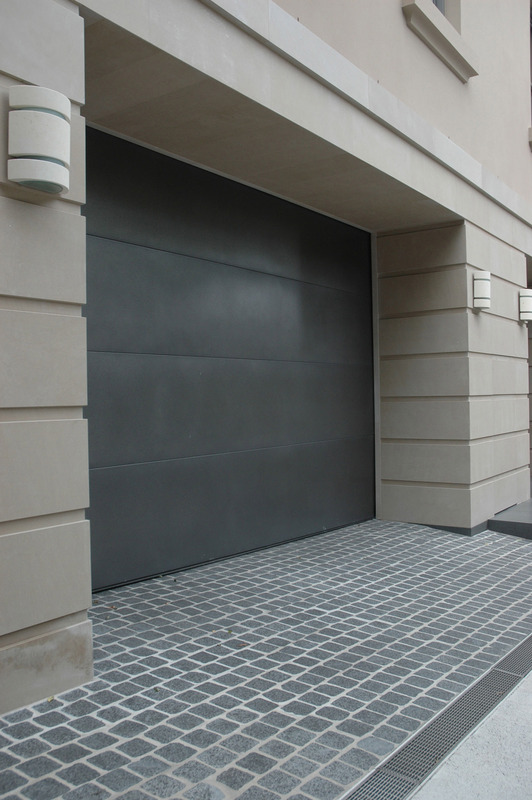 Axolotl surfaces are ideal for external gate applications, being weatherproof and sealed to prevent aging (if required). 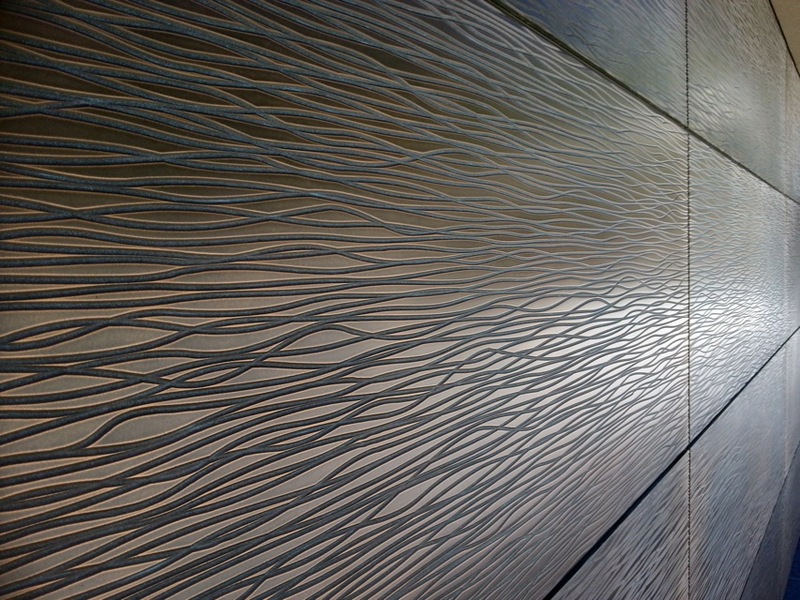 Lasercut, flat or three dimensional panels in practically any material including steel, aluminium and phenolic resin to name a few, can be bonded with Axolotl surfaces. 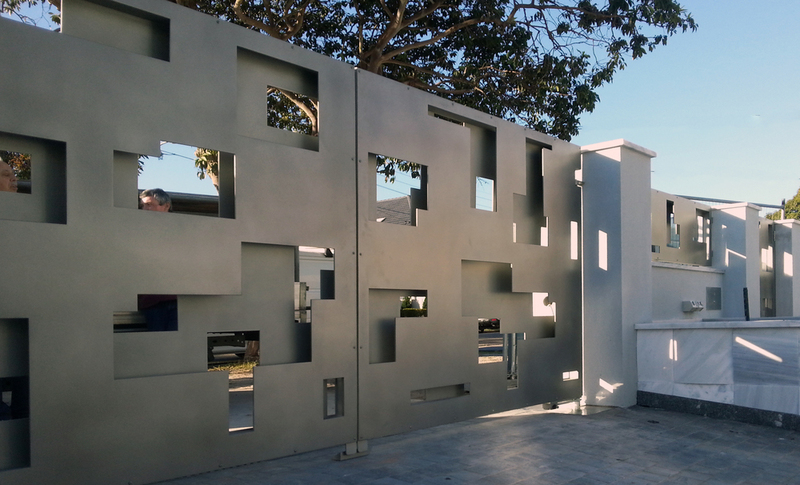 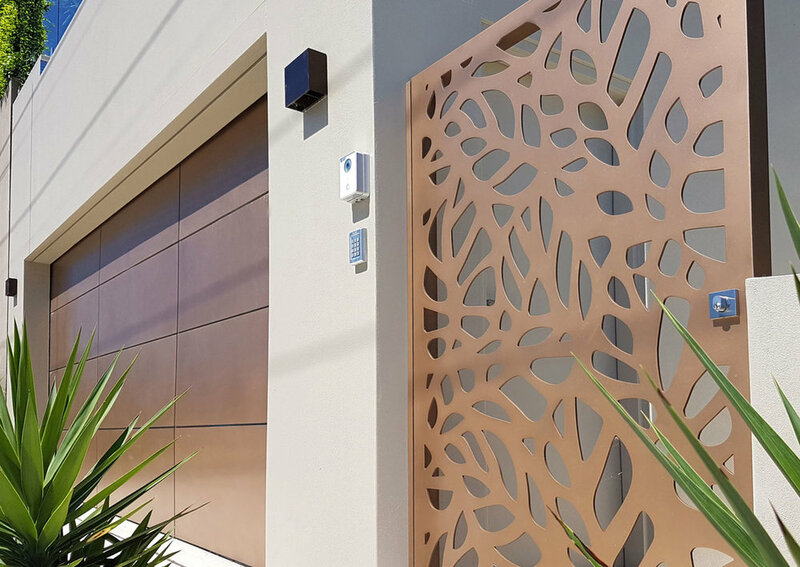 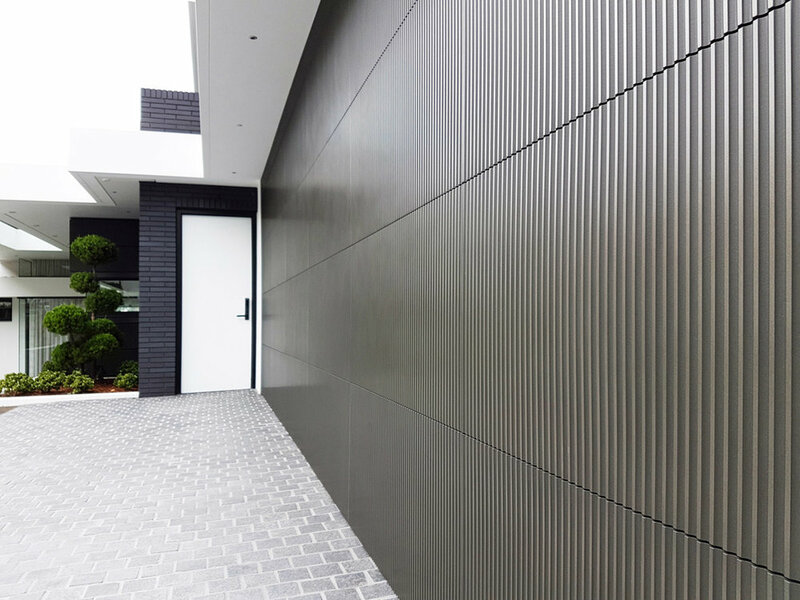 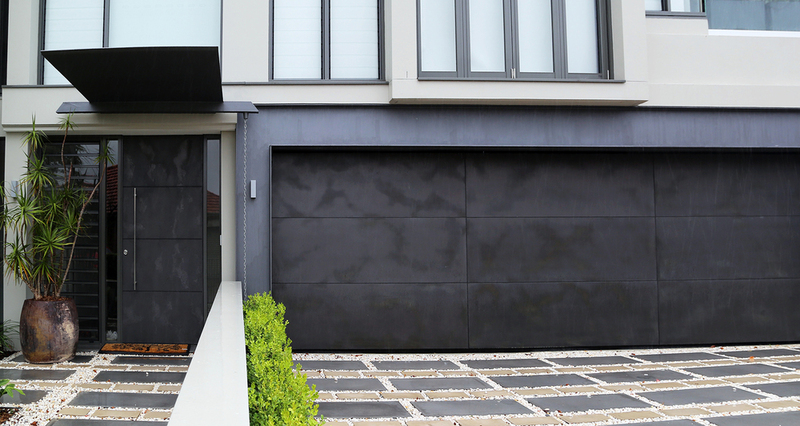 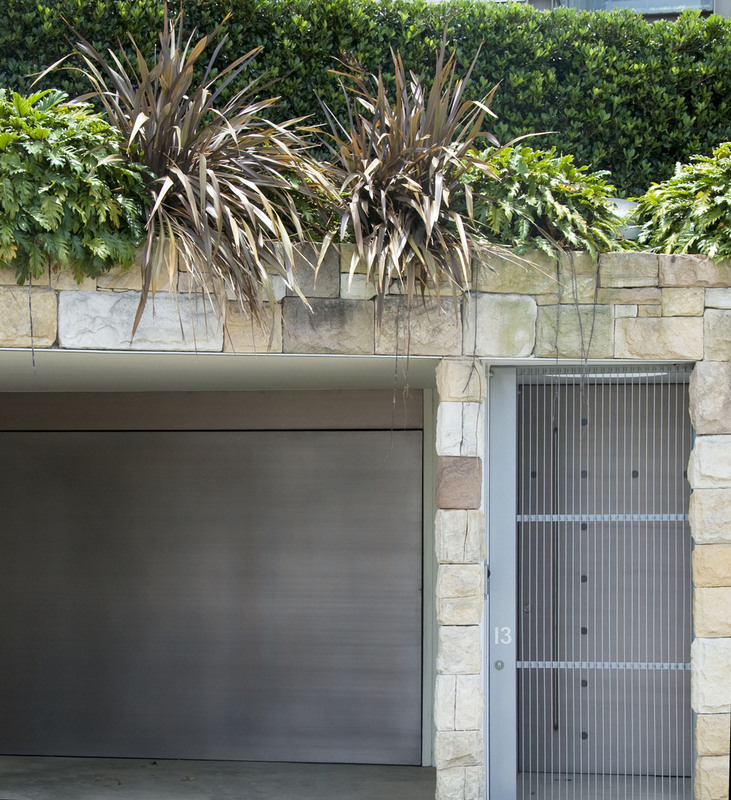 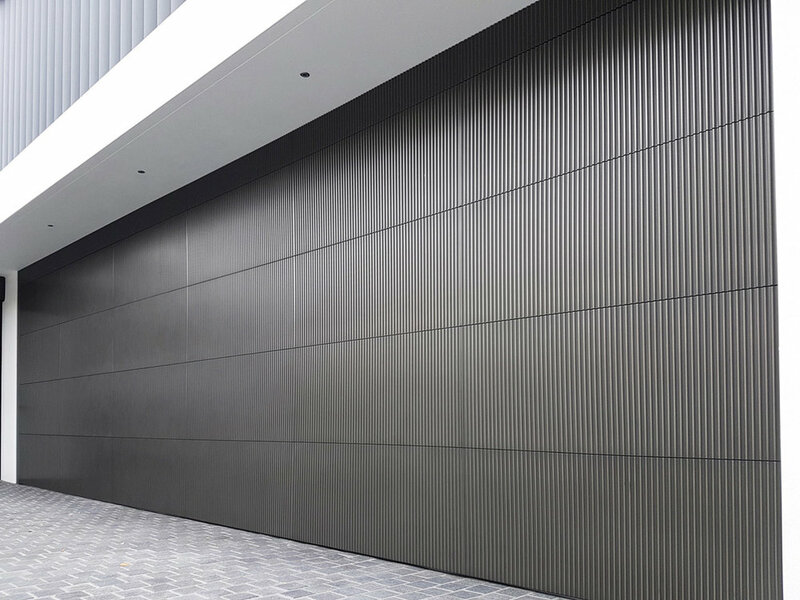 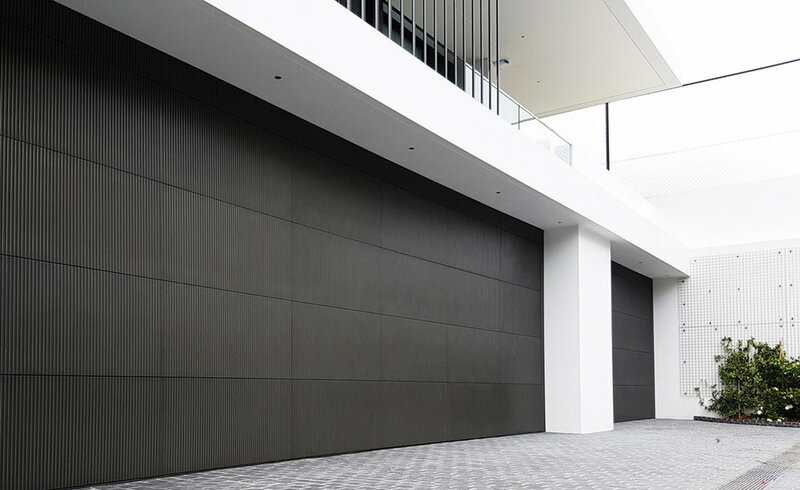 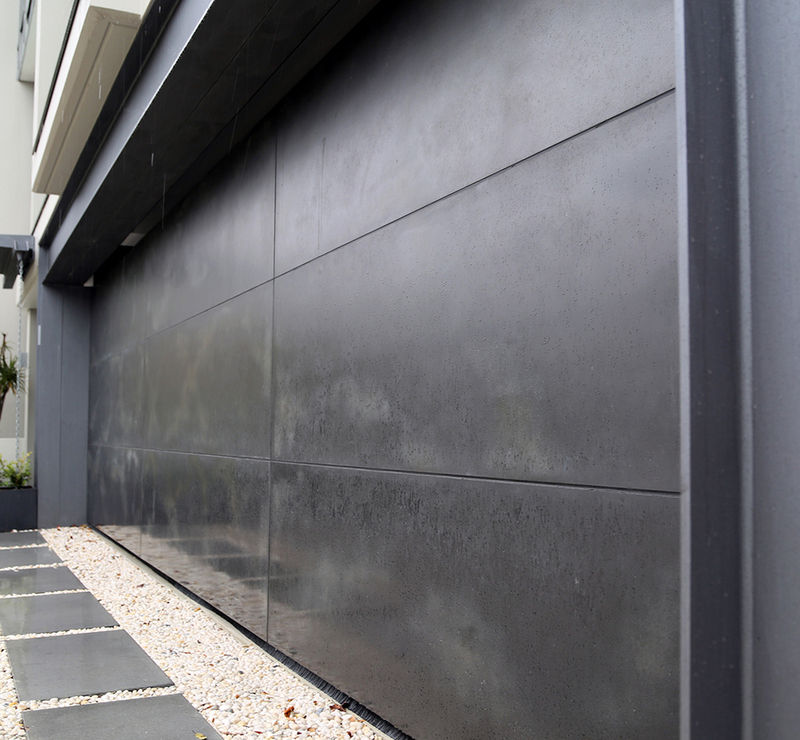 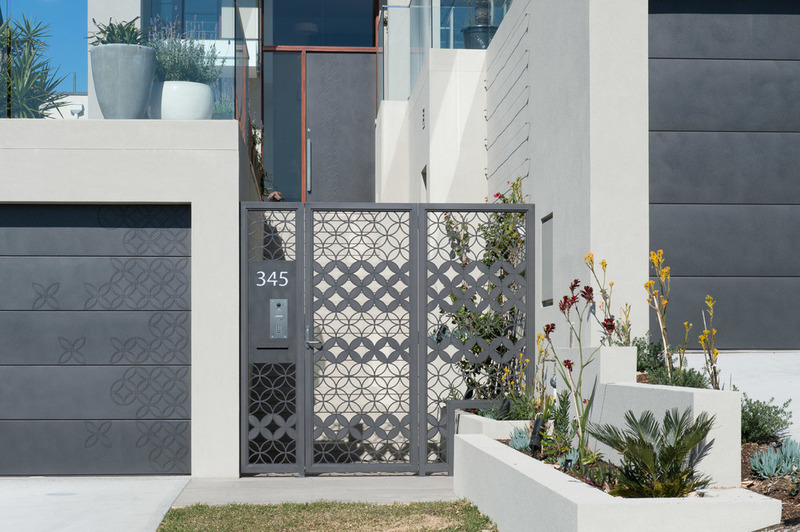 Co-ordinate your gate with other elements of your building façade using Axolotl surfaces, including fencing, garage doors or entry doors to create an unified look.